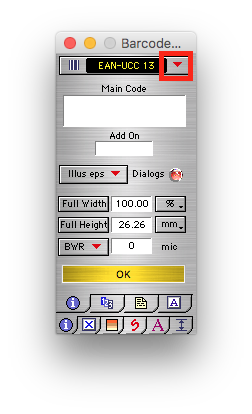 On the top bar click on the drop down arrow to select which Barcode type to use. 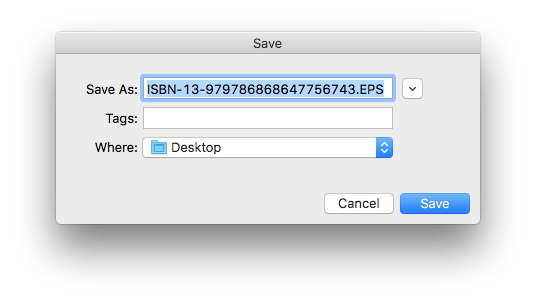 Once your in the drop down menu, look for publishing codes and select that as this code type is the only one to use add ons. 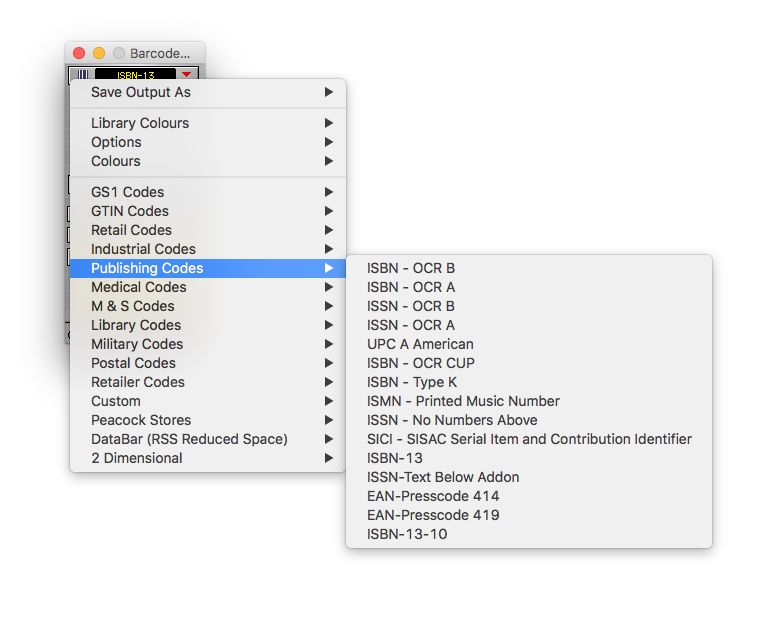 When you have selected publishing codes, select which code type to use. 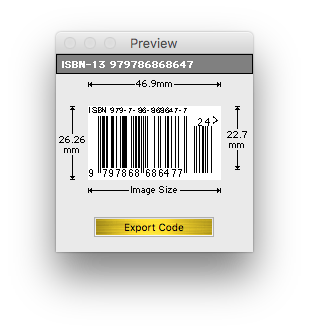 we chose ISBN - OCR B for the example. After making sure you correctly selected the right code type, it should change in the top bar. We have put a red box in the dialog above to show you it has changed. Next type in your Main code. You will need to use a certain amount of digits and begin with certain numbers. Dialogs will pop up if you type a code in wrong telling you what it needs. 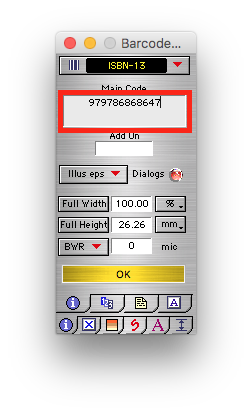 This is an example error dialog for if you have not entered the correct amount of digits. Above is another example for if you haven't entered correct digits to start with. These dialogs will help you if your are not sure what to enter. Next you would input your add on digits these either have to be two digits or five digits long. We opted to use a two digit add on in our example. 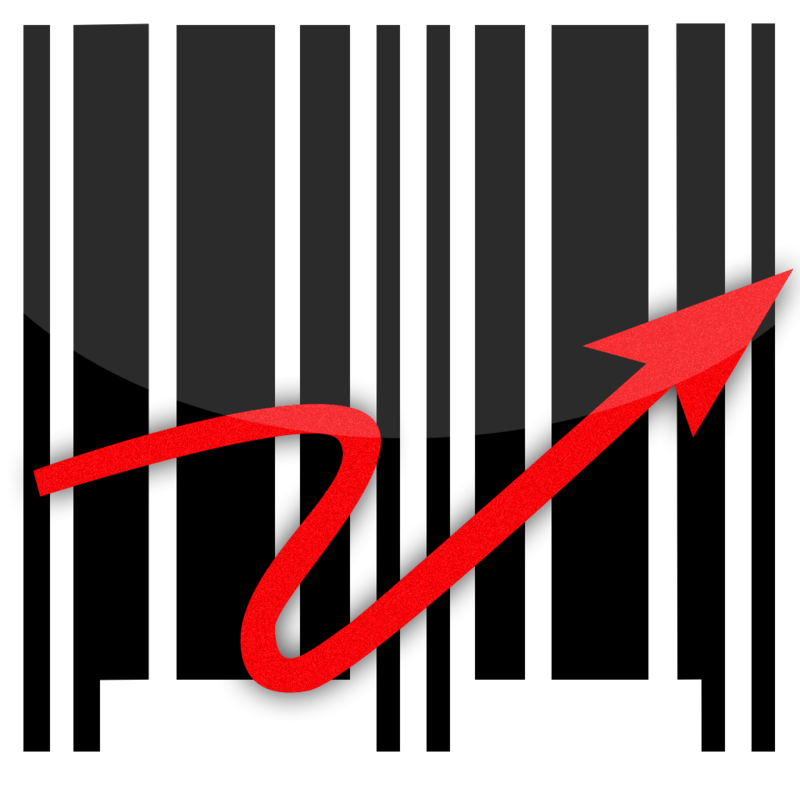 This is a barcode generated from our example. You will see there is an extra barcode on the end. This is generated through our Add on. Here we used only two digits for the add on. So the add on is only two digits long. The above dialog is another example, but the add on is made using 5 digits. 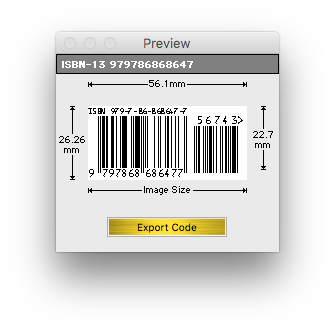 Next when you have your Barcode generated, click on the "Export code" button. A dialog will pop up telling to save, and where you want it to save too. When you have decided where you want to save to click "save"
You have now created a Barcode with add on.